The outlook for Lamborghini's 2018 sales is projected at 5,000 cars, and the Urus could account for over a thousand of those. By 2020, Lamborghini would be building some 8,000 cars per year, and over a half of those would be Urus sales. Domenicali says that would be a point where Lamborghini would restrict its growth, as does rival Ferrari, to keep its supercar brand exclusive. The head of Lamborghini's Asia Pacific sales, Andrea Baldi also says the manufacturer will "always make sure" that demand for its cars is higher than the supply. If making SUVs turns out to be a success for Lamborghini, the key might be hidden in the nameplate of the Urus. It's indeed Russia that looks to be a fertile land for Urus sales, since it's a country with both demanding roads and demanding customers. Domenicali says Russian roads have made it hard to sell traditional Lamborghini products, but the SUV should find a strong customer base there. 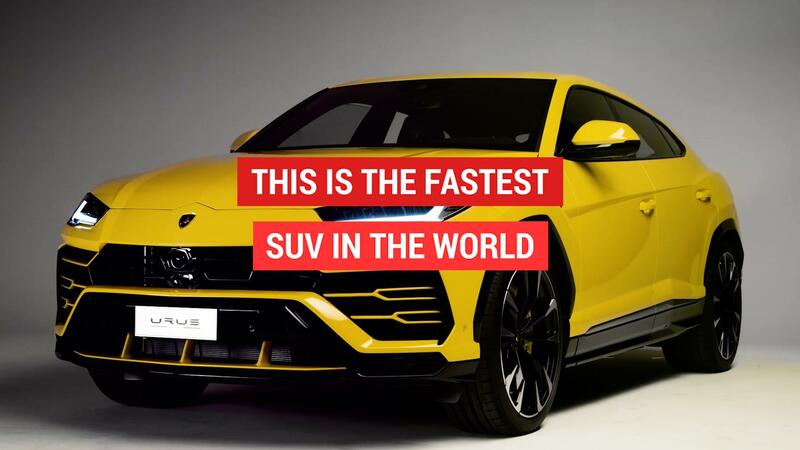 India is another significant new market for the Urus, for similar reasons. And as for the influx of new Lamborghini customers: a growing part of them are cryptocurrency investors. It looks like bitcoin bros will only accept a Lamborghini as the token of their newfound success. "These are young people that want to become very rich with a high-risk investment," said Domenicali. "And our customers are young as well, and very aspirational. They are not shy. So I think there is a connection."